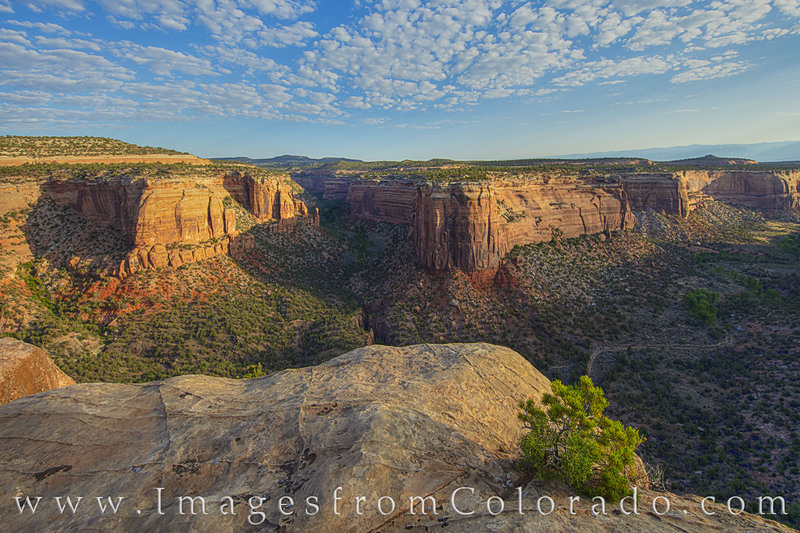 The overlook atop Ute Canyon in Colorado National Monument offers stunning views of the valley below. On this morning, clouds offset the blue sky, making for a beautiful start to the day. This area just west of Grand Junction, Colorado, sits high on the Colorado Plateau. Rim Rock Road runs the length of these canyons, and periodic overlooks give visitors amazing views of the red rock formations.